This evening, Judge Amy Berman Jackson ruled that Paul Manafort knowingly lied to Special Counsel Robert Mueller about his meeting with Russian spy Konstantin Kilimnik during the 2016 election. This not only finishes Manafort off, it legally establishes that the Trump campaign was in fact conspiring with the Kremlin during the election. Interestingly, it also involves Jared Kushner. By now you’ve probably heard the media report, again and again, that Paul Manafort had his fateful August 2nd, 2016 meeting with Konstantin Kilimnik at the Grand Havana Room in New York City. Some pundits have even gone so far as to point out that the Grand Havana Room is near Trump Tower. But for some reason, we haven’t heard the pundits talking much about the location of this club: 666 Fifth Avenue. That’s right, the meeting took place in the Manhattan skyscraper that was owned by Jared Kushner. This isn’t exactly difficult to pin down. Try googling “Grand Havana Room New York City” and you’ll instantly see that the club is in fact in the building that Kushner owned until recently. Donald Trump’s campaign chairman met with a Russian spy during the 2016 election in Donald Trump’s son-in-law’s building. To be clear, this does not prove that Jared Kushner was in on this Manafort-Kilimnik meeting in any way. It’s a large building full of various tenants. 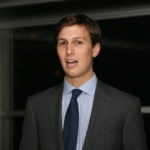 Jack The Ripper could come in and have a drink at the Grand Havana Room in Kushner’s building, and it wouldn’t be grounds for concluding that Kushner was in on his crimes. But you have to ask yourself why Paul Manafort and Konstantin Kilimnik chose a club in Jared Kushner’s building, of all places, when they could have gone anywhere. In fact we have a feeling Robert Mueller has been asking precisely that question of cooperating witnesses like Manafort’s former sidekick Rick Gates.